Vikane Fumigation: Preparation, Safety and Prices. Need a safe, effective way to control Drywood Termites without breaking the bank? Fumigation may be right for your situation. Vikane fumigations almost always cost less than so-called alternative treatment methods, and they are far more reliable in solving your termite problem. Fumigation kills all Drywood Termites in a structure, not just the visible ones. And since Vikane fumigations have no residual, you won’t have to wash dishes, furniture, clothing, or anything else after the fumigation is completed! You will come back to your beautiful home and be at peace, knowing the termites are gone and you have no extra work to do. 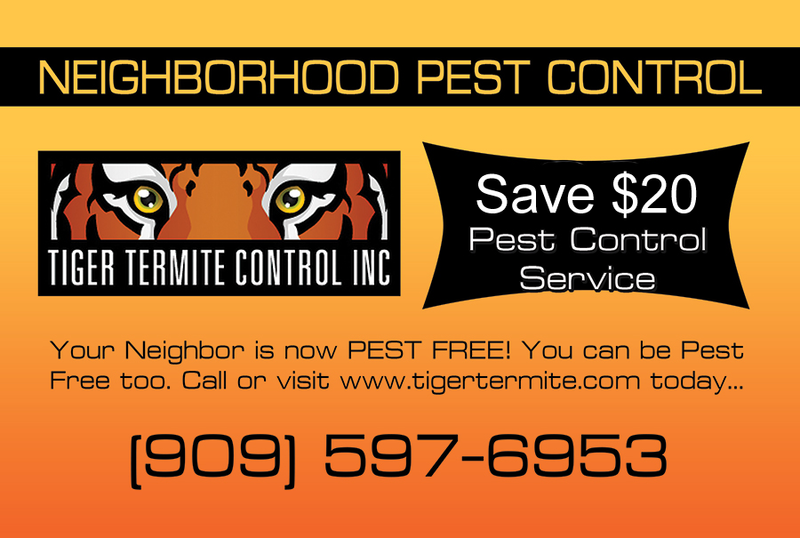 Read the documents provided by Tiger Termite. Remove people, plants, and pets from your home. Trim plants away from the house. Remove or bag up food and medicine. Take your two-day vacation, and you’re done! Call us at (909) 597-6953 today for a free evaluation and consultation. We will help you decide if whole house Vikane fumigation is right for your home. Oranges not an alternative to whole house fumigation! Can A Pest Control Company Stop The Squirrels From Eating My House?